Rita Chami was one of the 39 victims of the horrific and barbaric New Years Eve attack in an Istanbul nightclub. Rita was bringing in the new year with her friend, Elias Wardini, who she met while studying at the American University of Science and Technology in Lebanon, according to News.com. Tragically both Rita and Elias where trapped inside the Reina nightclub when a so-called Islamic State supporting gunman, hauntingly dressed as Father Christmas, entered firing over 160 bullets into the packed crowd inside the club. Both Rita and her friend were caught in the crossfire and died of their injuries – however just hours before she left for Istanbul concerned family members warned Rita about the dangers of a potential attack when she responded and seemingly predicted her own death. Hopefully we will have fun (in Turkey), worst case scenario is that I will die in a blast and follow my mum. Now of course with the mass amount of devastating attacks in Turkey it isn’t too extraordinary that the message was an accidental but awful coincidence. However it is still somewhat haunting. 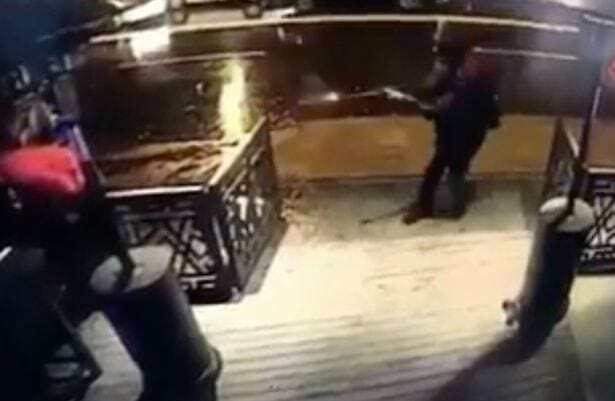 Early reports claimed that Elias had drowned in the Bosphorus River while trying to escape the gunman however a close friend of Elias’ posted to Facebook and told of the heroic sacrifice Elias made. Just to clarify some false information that our beloved media provided us with. 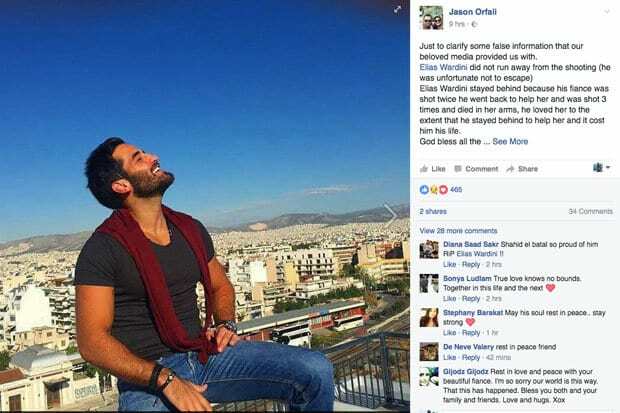 Elias Wardini did not run away from the shooting (he was unfortunate not to escape). Elias Wardini stayed behind because his fiance was shot twice he went back to help her and was shot three times and died in her arms, he loved her to the extent that he stayed behind to help her and it cost him his life. Don’t ever dare to think that Elias died in some river! He stayed behind to protect the ones he love and died doing so. The manhunt for the gunman continues.